Taking a long road trip on your motorcycle can be a great idea. It is a wonderful way to see the country, while enjoying the open highways and sights. You can see much more of the landscapes and beautiful countryside, from a bike rather than a car, and of course you can have the wind in your face. Whether you ride a bag-equipped cruiser, an all-out adventure bike, or a classic tourer, motorcycles have a way of tempting riders to chase the horizon. 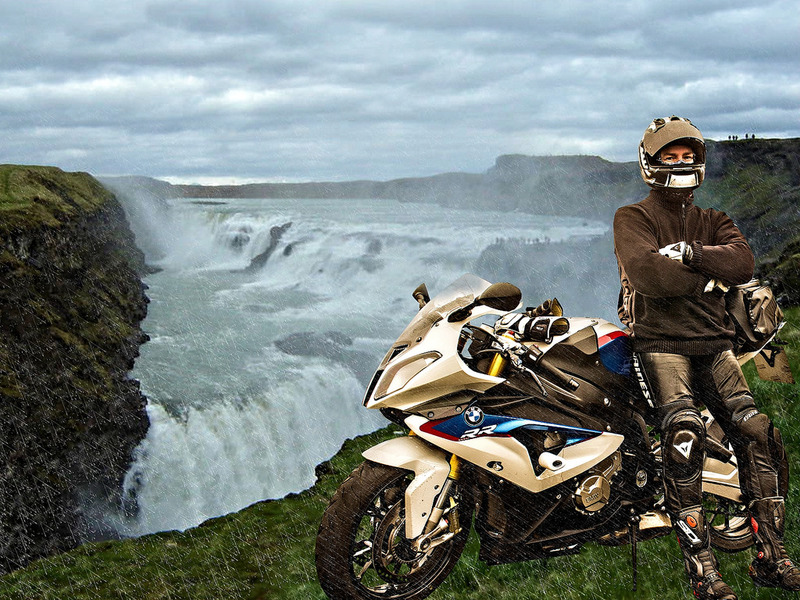 If you are enamored with taking a motorcycle trip, you need to know what to bring along, so that your trip is memorable and pleasurable and you never find yourself unprepared. The first thing to do is to get out the maps and chart your exact trip plan. Take note of landmarks that you can use to make sure you are on the right roads. Many smaller roads do not have good road signs so know where you will be and map it out using mileage. Give a copy of your trip itinerary to someone you trust, so if you are lost, they can look at the same map you have. Using GPS maps is also great, but be sure to pack a paper map because you may end up in places without good cellular service. If your bike has a few miles on it, make sure you take it to an experienced and reputable service shop and get a full top to bottom maintenance check-up. Make sure that the fluid levels, the brakes, the lights and all other mechanical components are at their proper levels and working. Even if your bike is new, you should still get it serviced. Also get yourself a health check-up too. Riding a bike is physical exercise after all. It will be better to find out any problems or potential ones before you get on the road. It is a smart idea to install a luggage rack on the back of your bike. Some people think that using a back pack or shoulder bag will suffice. But remember, you will be driving a long time and anything on your body will only get heavier as the day goes on. So put it on the bike. The most wonderful and also most potentially dangerous thing about riding your bike is that you will come in direct contact with the elements. And as we know, the weather can be unpredictable. Remember, if it starts raining while you’re on your bike trip, there aren’t any windows to roll up or doors to shut to keep you dry. So buy a comfortable, waterproof riding suit. This way, when the rain comes, you’ll stay nice and dry under the suit. Also get yourself some good quality motorcycle boots from the premiere place that sells the best budget motorcycle boots. Before you start packing, make a list of the necessities and then add the things you want to bring along. Keep in mind, you can’t pack a lot. So think about each item and ask yourself if you could do without it, or if you really do need it. If you aren’t sure about something, you don’t need it. If it is something non-essential and you can purchase on the road, do it then, rather than carrying it with you the whole trip. You may find that you don’t actually need it. The tips above will help you be prepared for your next motorcycle adventure. If you prepare yourself, you can enjoy the pleasures of the open road without worry. Although it’s a small and picturesque seaside town don’t let its looks deceive you, Salcombe has some wonderful shops tucked away in its winding streets. Even if you’re visiting Salcombe to get away from the frenzy of city living you’ll probably want to indulge in a little retail therapy. With that in mind be sure to visit these 5 Salcombe shops. If you’re looking for quality clothing then you have to drop in to Bibi & Mac. Renowned as one of the best Salcombe shops thanks to its great stock and always stellar service, you’ll find plenty to browse here. They also have a second shop, located a little further down Fore Street, which is home to beautiful home-ware products as well as a delightful café, so you can relax with a coffee. Located on Island Street this new addition to the Salcombe shops offers gorgeous bags, purses, and other ladies accessories. Exuding vintage class, the store is a joy to peruse, while the staff are welcoming and professional without being overbearing. You’ll find an incredible range of leather and fabric bags and accessories, all made in Britain and with exquisite craftsmanship. You can have your initials embossed onto the products for free so these make a perfect keepsake to remind you of your holiday, or a personalised gift for a loved one. Of all the Salcombe shops this is one that has truly become a cornerstone of the town. First established in Salcombe by Jim Hartley and Willam Bees, it began by creating one-off jackets from reclaimed sailcloth. The Salcombe jackets became wildly popular with sailors and landlubbers alike. Now a chain of stores across the South West and Southern England, Quba & Co stocks a range of timeless and understated nautically-inspired clothing for men and women. Salcombe is home to two Quba & Co shops, one stocking their standard range, the other focusing on their heritage products, where every item is truly unique. This photography gallery has been running for over a decade now and has built an enviable reputation among the community of Salcombe shops for providing stunning images from local photographers. You’ll find a huge range of prints on sale of Salcombe and the surrounding area which are just calling out to find a new home on your wall, a constant reminder of your blissful holiday. Indulge your sweet tooth at Cranch’s, a longstanding institution among Salcombe shops. Popular with young and old, nothing beats picking out a bag of old favourites like cola bottles, aniseed balls and bon bons. It’s not just sweets though, in the pantry you’ll find groceries and other odds and ends to help complement your holiday in Salcombe. 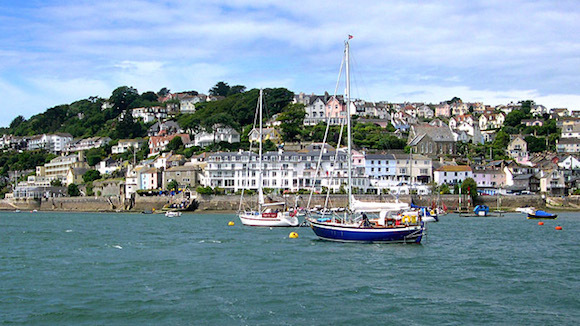 Salcombe is home to a fantastic range of shops, and these are just some of the more iconic independent retailers that are proud to call the town home. Be sure to explore these and all the other Salcombe shops when you stay in the town. If you want to discover Salcombe for yourself visit Coast & Country Cottages today and browse their range of luxurious Salcombe holiday homes. Posted on 08 July 2014. You may be a geography ace: studying maps, reading plenty of books and even spending your free time on a game or quiz that challenges your geography skills. But how much do you really know about Europe’s waterways? As cruises are becoming more and more popular, brands such as Royal Caribbean and Princess Cruises are now household names. However, so many little gems continue to slip under the radar. So, broaden your knowledge and discover how to travel the best European destinations in style, with these five underrated cruise lines. Scotland is home to some of the most scenic settings in the UK and what better way is there to soak them all up then on the water? 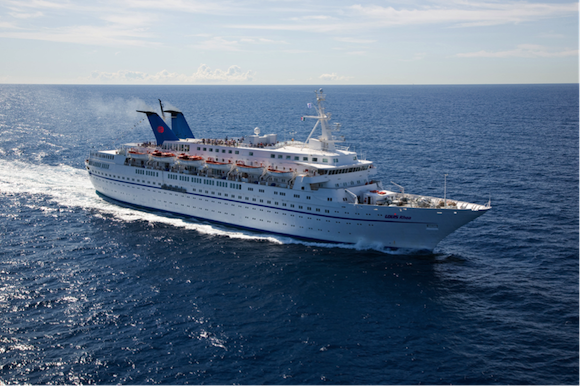 Majestic Line is a family-owned business, with two different “luxury mini-cruise ships” on offer. 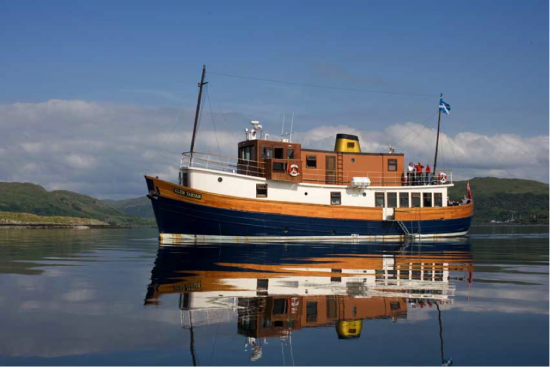 As converted wooden fishing vessels, the Glen Massan and Glen Tarsan are only able to carry a dozen or so passengers per journey, but they are the perfect way to discover spots such as the Loch Ness in character and style. 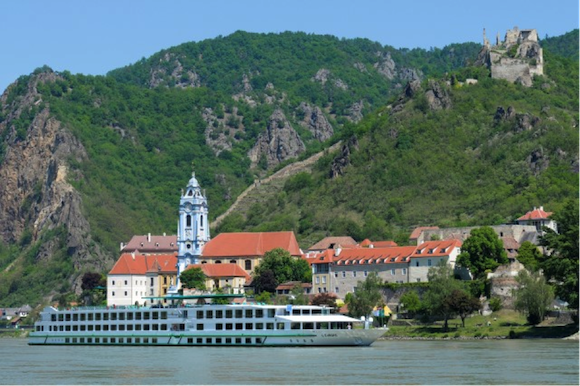 With 11 river ships in toe, A-Rosa River Cruises is a rapidly expanding German business. To accommodate their growth, three modern vessels now boast an English speaking crew. 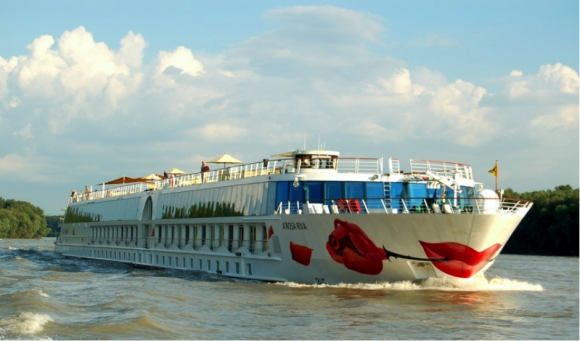 The A-Rosa Flora, A-Rosa Stella and A-Rosa Silva welcome up to 186 passengers to chart through the waters in the Rhine, Danube and Rhone. Enjoy the all-inclusive settings before hopping on one of the on-board bikes to explore the land. 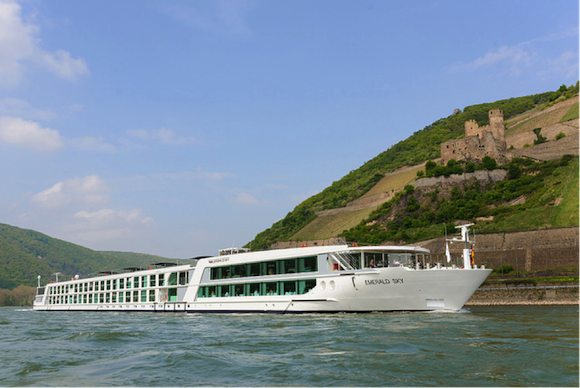 Emerald Waterways is still in its infancy, having burst onto the scene back in spring to become Europe’s first cruise line start-up in six years. Owned by Australia’s Scenic Tours, the 182-passenger “Star Ships” Emerald Sky and Emerald Star vessels take a leaf out of the major brand’s books, delivering on-board luxuries such as movie theatres and swimming pools. CroisiEurope is a big name on the continent, with nearly 40 ships and barges travelling across France, Belgium, Italy, Spain and Germany. As well as sailing in some of Europe’s most popular countries, on-board Michelin-starred chefs craft delectable menus to be enjoyed in the elegant settings. The company recently added another offering to their roster in the shape of the 84-passenger MS Lafayette, which was inaugurated in Strasbourg alongside two other barges. You won’t have to break the bank to enjoy a Louis cruise. Three ships accommodate up to 1,664 passengers in accessible cruise itinerates around the beautiful settings of Turkey and the Greek Isles. Cruise lengths vary from between three to eight days, and you’re sure to be in good hands. Parent company Louis Group has been in the tourism businesses since 1935. Posted on 26 June 2014. Having made the decision to take an extended trip, you’ve likely spent weeks if not months poring over maps and destination guides. You’ve probably also been saving like mad and have arranged a sabbatical from your job. This is the exciting part when everything is new and the world is your oyster. 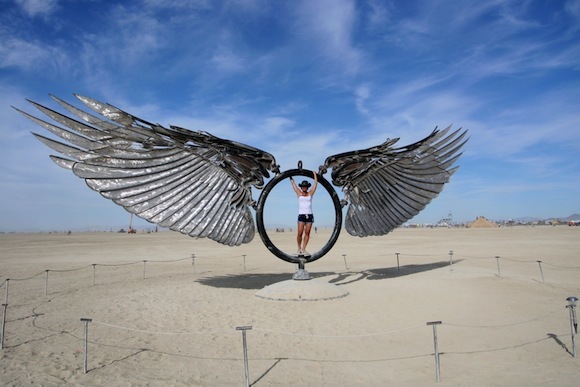 You can go anywhere, do anything, budget permitting of course. Now you’ve made those important decisions, the nitty gritty details of what you’ll do with your home and possessions need attending too. You wouldn’t leave the trip itinerary until the last minute, and you shouldn’t leave safeguarding the home front to the last minute either. Rent your house out so you have some income while you’re gone. Obviously the last option is only possible if you’re going for six months or more, unless you can arrange a private let to a friend. This is an option if you’re employing a pet or house sitter. Whichever route you take, start planning early. If you’re simply locking up, are you comfortable leaving all your possessions in situ or would you feel more secure if the most valuable items were under safer lock and key? If you’re hiring a pet or house sitter, leave plenty of time for searching and vetting your prospects so you feel at peace leaving them in your home while you’re gone. If you’re taking on a stranger, checking references takes time. For longer trips, home rentals are an excellent idea. Short term lets run for six months minimum, and the easiest route is to ask a letting agent to find suitable short term tenants. They will do all the checking, deal with the finances, and keep an eye on both tenant and property through inspections and organising running repairs if necessary. Decide early on if you’ll let furnished, unfurnished or part furnished. A letting agent can advise if you’re unsure which option is best suited to your needs. Regardless of which way you go on this, there will be some items you don’t want to leave in general use. For those, whether you have just a few personal items or a more sizeable load that includes some furniture, self storage is your best bet. 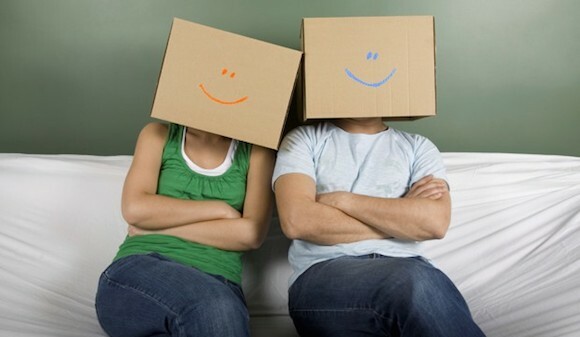 Local and convenient, self storage units are available in a multitude of sizes, enabling you to store everything from a few boxes to a whole household. The terms are flexible too, with no long contracts, so you can come and go more or less to suit yourself. Most will only ask for a week’s notice when it comes time to reclaim your possessions. Start early. The more stuff you’re putting into storage the longer you’ll need so plan accordingly. Use sturdy boxes, and fill them as full as possible without making them too heavy (a tip here is to use more smaller boxes than fewer large ones). If you’re using a removal company to help you move bulky items into storage, keep in touch with them so they know well in advance if there are likely to be any changes to your plans. Also, ask them how they want to load your items so you can arrange to have them carried out of the house in the right order without having to climb over other things. If you’re getting friends to help, give them plenty of warning, arranging dates and times well in advance. It’s a lot of work and preparation, but by starting early and making checklists for decisions, packing, removals and storage you can avoid unnecessary stress. At the end of it all, you’ll set off with a clear head and no nagging worries. Bon Voyage! Drew writes for Big Yellow Self Storage. See their website for more about storage and removals. Posted on 18 June 2014. Traveling is not just for the college kids who want to see the world and maybe study abroad; it’s for everyone with a thirst for adventure and a desire to see new cities and sights. Sometimes your adventure will take you just down the road, and other times it will require flights and bus rides and walking. In fact, no matter how young or old you are, or where you go on vacation, most of your time will be spent walking from place to place. What many people don’t realize is that it is fairly common for travelers who spend a lot of time sitting or walking to develop a condition known as DVT (deep vein thrombosis). DVT is caused by blood clots in deep veins. Typically the symptoms of DVT do not show up until anywhere from one week to one month after travel, so you will enjoy the vacation without suffering the side effects until you return home. This is what makes DVT dangerous. Thankfully, DVT can be prevented. wearing loose-fitting clothing. The less constricting the clothing the less likely you are to induce the blood clots. drinking a lot of water. Proper hydration can reduce the risk of blood clots. avoiding foods and drinks that are diuretics, such as coffee, chocolate, and soft drinks. avoiding alcohol before taking a flight of more than four hours. While alcohol can thin your blood, it is dehydrates your body. wearing compression socks. These are designed to help the blood circulate properly through your legs, thus reducing the risk of blood clots. The best compression socks for your needs will be sized to fit your legs properly. Keep in mind that there is no guarantee that these will eliminate risk of DVT completely, but they have been proven to greatly reduce the risk of contracting the condition. For those who suffer from swollen ankles or calves after long walks, use of compression socks can reduce the risk of long-term damage to legs and relieve some of the swelling and discomfort. Anyone who is interested in hiking or site-seeing would benefit from packing a couple pairs of compression socks for those days spent mostly on foot. Why compression socks? They are designed to increase proper blood flow to the lower leg both when active and inactive. That means the risk of swelling from being on your feet for too long, and the risk of blood clots when sitting for too long, is greatly reduced. The key is to get the right fit. Finding the right size for your feet is critical to the success of the sock. Socks that are too big will not restrict unneeded blood flow; socks that are too small will restrict the blood flow too much and increase the risk of clotting. It’s important to find a professional who can get you properly sized. So before you travel, consider the benefits of wearing the appropriate socks for your needs. It seems like such a small detail, but it is more important to your health than you realize.